With all the buzz surrounding Crazy Heart this awards season and a 92% approval rating on RottenTomatoes, I couldn't keep myself away from a showing once it hit my local theater. 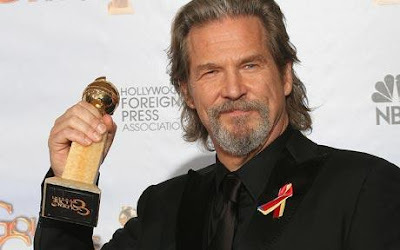 Starring in the lead is the always magnificent Jeff Bridges (The Dude) who took home the 2010 Golden Globe for Best Actor for his portrayal of an alcoholic fading country star named Bad Blake. Bridges won prizes for Best Actor at the 2010 SAG Awards and from the LA Film Critics Association as well as the Broadcast Film Critics Association. In addition to all those awards Bridges is the front runner for a golden statue at the Academy Awards in March. Co-star Maggie Gyllenhaal is nominated as well for Best Supporting Actress in what I consider the best role of her career by far. Are you listening yet? 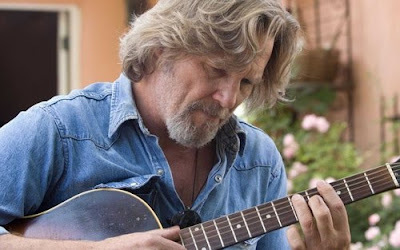 Crazy Heart follows Bridge's character Bad Blake as he travels in his beaten but trustworthy truck from city to city playing his music for small audiences at bowling alleys, bars, and anywhere else he can play for a crowd. His best years as a musician look to be behind the once headlining country star as Bad settles deeper into his destructive life of alcoholism. His interest is spurred when he meets Jean Craddock (Gyllenhaal), a local music reporter doing a story on the once prominent country star. The two become closer as Jean gets to know the man behind the music. The warning signs of alcoholism and being involved with a traveling musician are not potent enough to keep Jean's affections at bay. The narrative does take some time to get it's feet moving to spur audience interest toward the drunken country singer Bad, but when this movie hits its stride viewers are left captivated to see how the rest of these characters stories will unfold. Writer/Director Scott Cooper gives his resume a huge boost with this highly acclaimed Oscar contending film (even though it is unjustly not nominated for Best Picture). The screenplay is based off the 1987 same titled novel written by Thomas Cobb. Cooper has limited success as an actor and this is his first splash as a writer and director. His adaption of the novel was one of the best composed scripts I have seen played out in awhile. All the film's characters are well rounded and intriguing. The development of friendship to a romance between Bad and Jean is a bumpy but satisfying ride. The dialogue in the film is simplistic but perfectly spoken in a natural sense giving this film a excellent feel of realism almost causing the audience to surmise they are just part of the conversation. The acting of course is as good as it comes. The credentials are listed in the early paragraphs. Also starring in this film as supplemental characters are Hollywood A-listers Colin Farrell and Robert Duvall. Both play supportive roles in the life of Bad Blake, which brings me back to the well composed character-driven script. Crazy Heart features a fantastic original soundtrack that any fan of country music would appreciate. I personally hate almost all country music and I loved the musical content in this film. The song "The Weary Kind" already won the Golden Globe for Best Original Song and a chance to win Oscar gold is up for grabs with the song getting a nomination in the same category. Overall, Crazy Heart is a movie many of you have never heard of but none of you should miss. Initially the film was set to be a straight to DVD release but was purchased for theatrical distribution by Fox Searchlight Pictures. 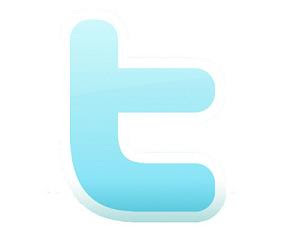 The limited release started on December 16th, 2009 and has slowly began to make its way across the country. 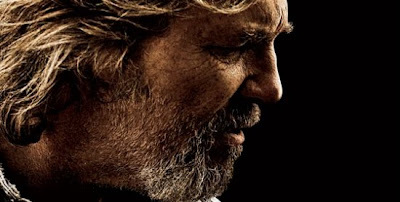 With more and more theaters picking up this marvelous film your chance to see Crazy Heart increases. Skip Valentine's Day, Dear John, and The Wolfman to see the best movie in theaters right now. The psychological thriller Shutter Island is great for fans of the genre and is catching all the buzz, but this is a movie that everyone will love.